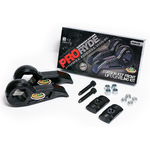 YOU Choose the perfect front ride height! 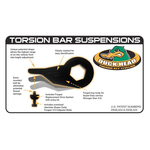 ProRYDE's patented Duck Head Torsion Key Leveling Kit provides front ride height adjustments from near OEM up to 2.25" beyond. Add an aggressive, level stance, and fender clearance to install oversize tire/wheel combinations.